The three-year sponsorship agreement will create new opportunities for students to gain coaching, volunteering and other experience with the Club. Through the partnership, the Cricket Club will have access to the University’s academic expertise for player analysis, testing and research. The University’s logo will appear on senior playing shirts and the partners will explore working together on outreach activities with local schools. Walsall Cricket Club is based in Gorway Road, next to the University’s Walsall Campus which specialises in sports, education, nursing and performing arts courses. 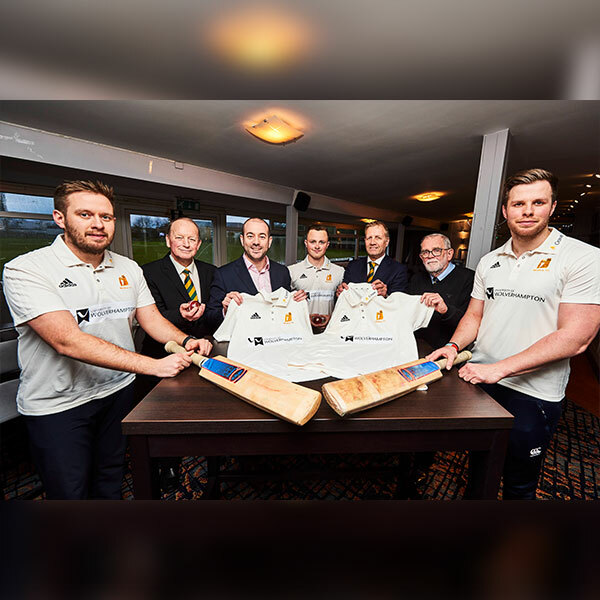 Picture caption (from left): Dannyjo Cox (1st Team Captain); Roger Hanley (Chairman of Cricket); Dr Richard Medcalf (Director of the Institute of Human Sciences at the University), Luke Stynes (University of Wolverhampton student); David Middleton (President of Walsall Cricket Club), Sam McFarlane (Chairman) and Michael Lockett (2nd Team Captain).